Aliens from the Moon have declared war on Big City. 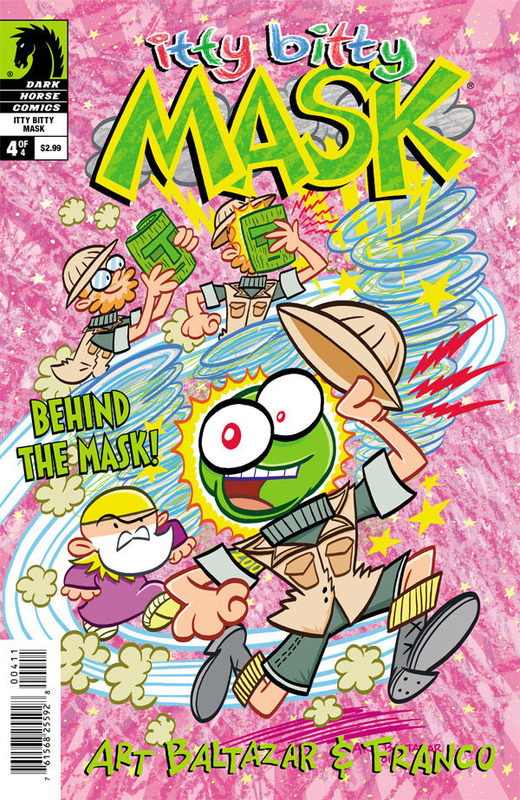 The Mask has already caused problems in Big City by turning a grandmother into a pancake making, cookie baking machine, by turning the zoo animals into artists who made Zoo Con, and started the alien invasion by taking a bite out of the moon as Mayor Mask, can the Mask make up for those mistakes by helping rid the Earth of the Moon aliens? Guess we will find out at 11:00 AM. Side note, J adores anything by Art Baltazar and Franco. I recommend this series and anything else done by the Aw Yeah! Comics crew for your kids. Felicity has been captured by Brother Blood’s followers. 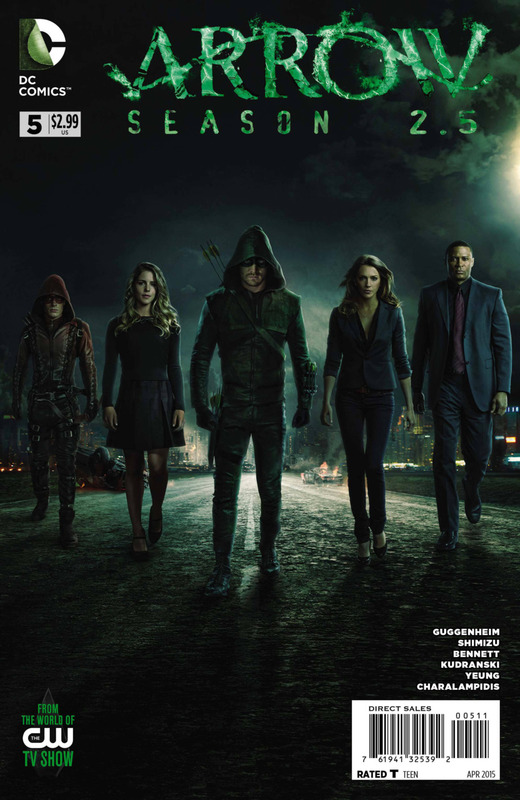 Sara is in town to help Team Arrow defeat this new incarnation of Brother Blood. If you wanted to know what happened between the season 2 finale and the season 3 premiere, you need to be reading this series!! If your kids are fans of the show, this is a must have for their collection. If they are younger, you should probably read ahead so you can do some “creative reading”. Nomad has been captured by the Scarecrow, most likely to be tortured by the things that he fears the most. Will Cap get to Nomad before it’s too late? 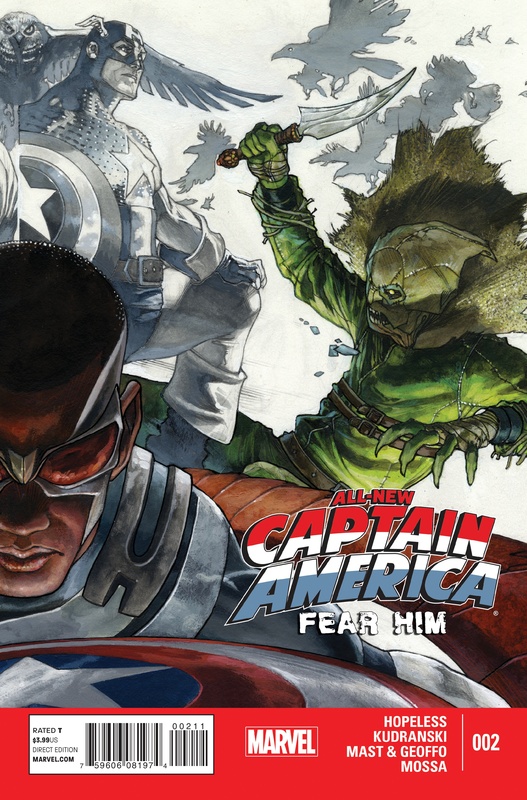 This 6 issue series looks like it’s going to be one that is not for the faint of heart. I would say you should skip this one for the smaller kids, but pick it up for yourself. 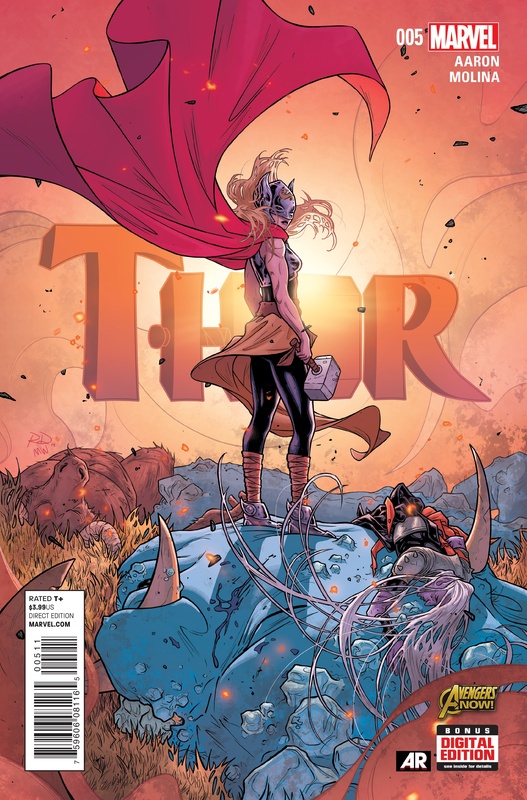 This storyline is so amazing not only did we see a woman take the on the power and name of Thor, but we got to see Thor and the Odinson do battle. I am so excited to see what lies ahead for this new, amazing Thor. PS, J loves this series. You will definitely want to peek through the issues before reading them with your younger kids. 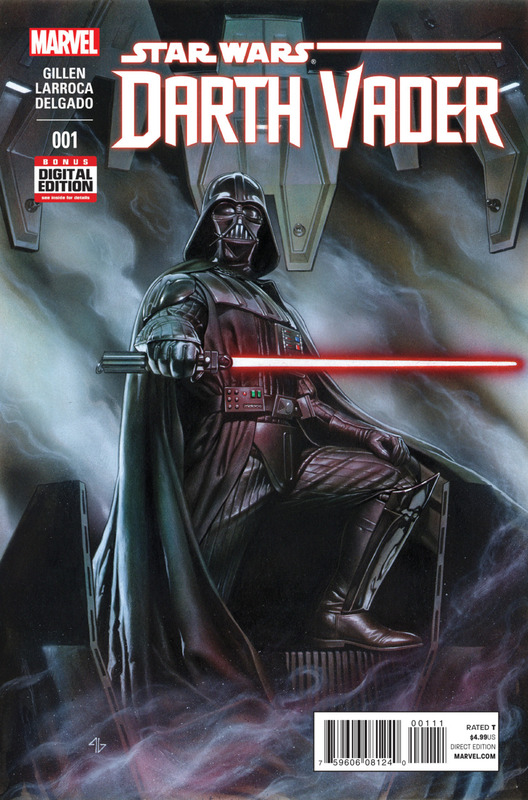 You’ve seen what the Rebels were up to immediately following ‘A New Hope’, now let’s see what the “Baddest Man in the Land” Lord Vader is up to in Darth Vader #1. Also make sure you check out the Skottie Young variant. J is a huge Star Wars fan and even a bigger Vader fan. He is so excited to make our weekly trip to the comicbook shop later today. 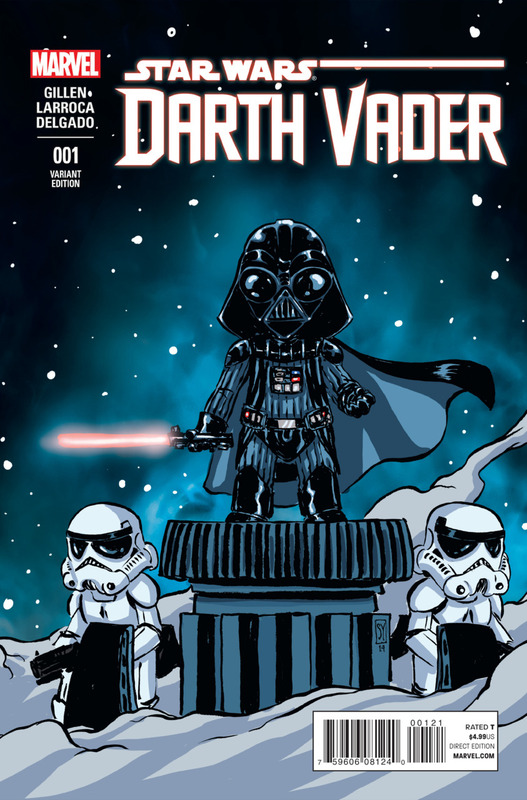 This entry was posted in Uncategorized, What We're Reading Wednesday and tagged Arrow, Captain America, Dark Horse, darth vader, dc, Falcon, Itty Bitty Mask, Marvel Comics, Skottie Young, Star Wars, Thor. Bookmark the permalink. Subsequently though my boys Andre raised to live and rely comics and to follow different threads and story arch. I love the Thor one at the moment. I think they’re really pushing the boat out with it. I have just finished the: All New X Men loved where they’ve gone with aspects of that especially after the AvX story line.